For the first time ever, an Oasis Class ship will offer sailings from the New York City area when in 2020 Oasis of the Seas spends the summer offering cruises from Cape Liberty, New Jersey. 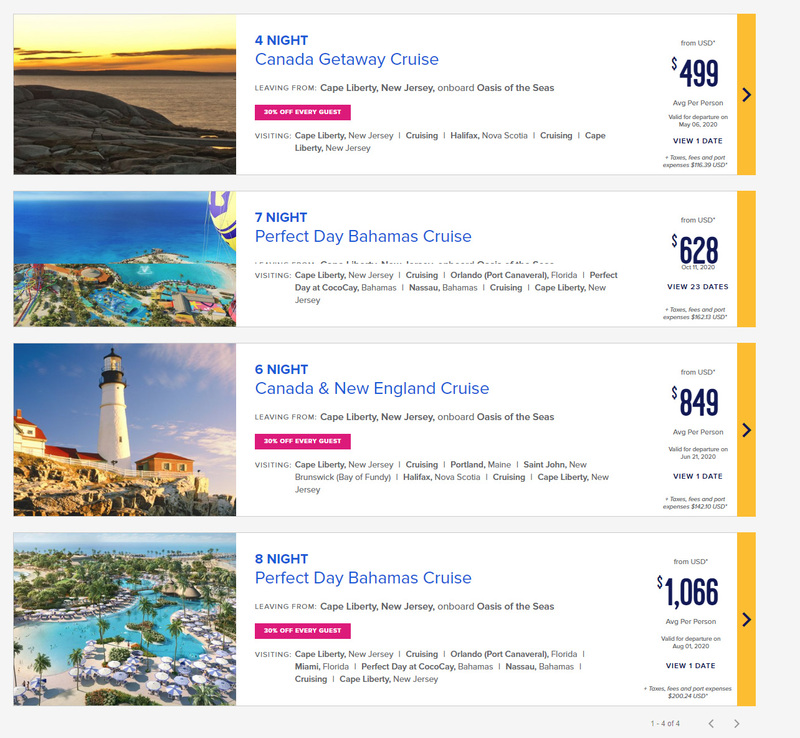 Royal Caribbean's 7-night 2020 itineraries for Caribbean and Canada were posted to the website yesterday, and it shows Oasis of the Seas arriving to Cape Liberty on May 6, 2020 and staying through October 25, 2020. Oasis of the Seas will return to Florida on November 4, 2020. When Oasis arrives in Cape Liberty, she will offer a quick 4-night Canada Getaway cruise on May 6 before offering 7-night sailings down to the Bahamas, with stops in Port Canaveral, Nassau and CocoCay. On August 1, 2020, she will offer an 8-night sailing that adds a stop in Miami. Oasis will sail one New England & Canada sailing on June 21, 2020 when she offers a 6-night cruise to Portland, St. John and Halifax. Adventure of the Seas will also sail from Cape Liberty and alternate between 5 and 9 night itineraries to Bermuda and the Caribbean. Adventure of the Seas will also offer a nine-night New England/Canada sailing a few times during the summer and fall 2020.